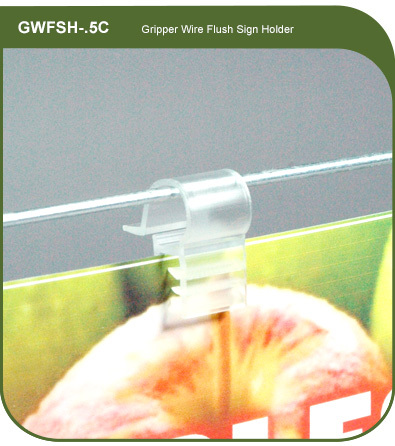 The Gripper Wire Flush Sign Holder - 1/2"-in (L) x 7/8-in (W) is an ideal solution for hanging signs.The unique co-extrusion gives it a strong outer shell with soft PVC grips inside to securely hold your signs up to .080 thick. The GWFSH-.5C can hold signs up to .080" thick. The GWFSH-.5C measures 1/2"-in (L) x 7/8-in (W) and is made from co extruded PVC.